How to install and set up a VPN on all your computers and devices. Need a VPN for Linux? Love ExpressVPN? Want a free month? 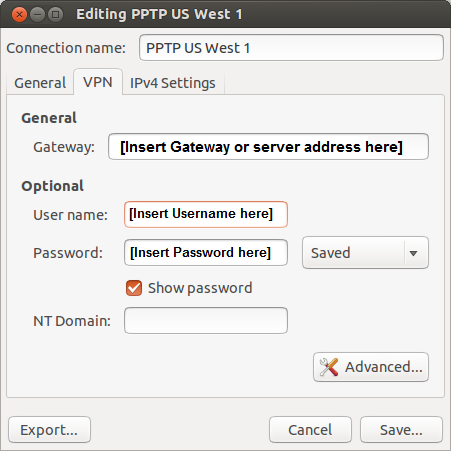 Use the following rough steps to manually setup a PPTP VPN connection on Linux. Note: PPTP provides weak security benefits and should only be used for anonymization or for changing locations. Prefer app setup? See the instructions for setting up the ExpressVPN app for Linux. Click on the Network Manager icon on the top-right portion of your screen. For the Connection Type, please select Point-to-point Tunneling Protocol (PPTP). Specify a Connection name (can be anything). Copy the server address of the location you want to connect to. Enter the Username and Password as found in step 4 above. 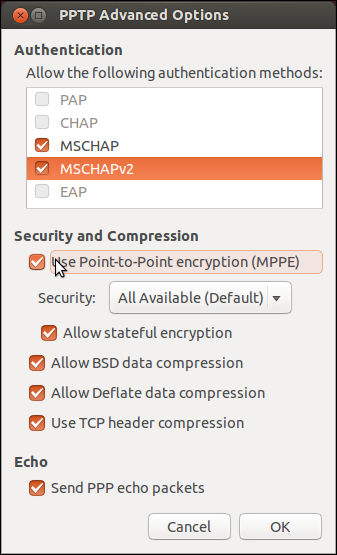 Check “Use Point-to-Point encryption (MPPE)” option. Close the Network Manager applet. Click on the Network Manager icon on the top right hand of your screen. Point to VPN Connections, and then click on the VPN profile that you’ve just created, to start the connection process. 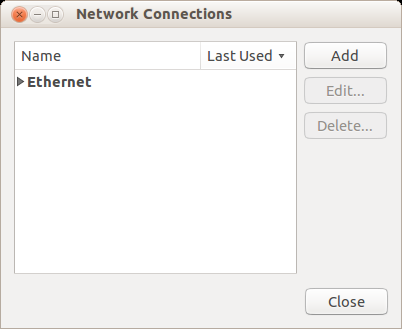 During the connection process, the network icon will blink for about 10-30 seconds. Once you are connected to ExpressVPN, you will see a “lock” on the network icon.